We also came across a Tampa/St.Pete original – Taco Bus!! They were featured on Food Network, so my mother informed me when I excitedly told her about it over the phone. Ohhhh – Emmmm- Geeee!! This place was amazing!! Outdoors, sun, palm trees, Tecate, Carne Asada, LOTS of CILANTRO (!!!! 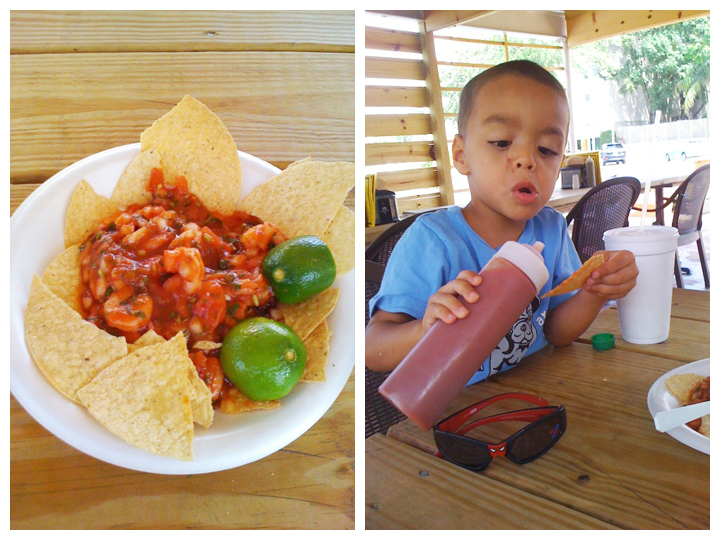 ), But what I was amazed by most was their ceviche! 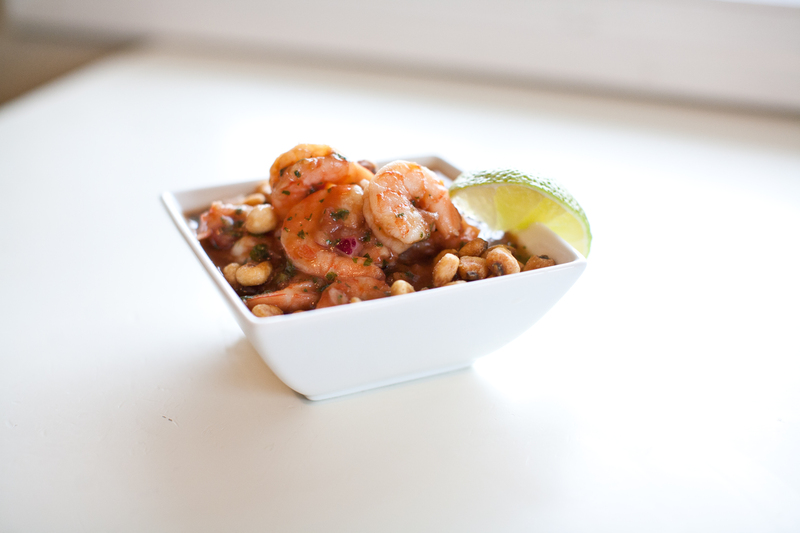 I’ve always loved making and eating ceviche, the lime marinated and chemically cooked shrimp or fish dish that is very prevalent in Mexico though popularity is rapidly spreading through the United States. Friends who saw the photo insisted that it couldn’t possibly be ceviche as they had never seen RED ceviche! Though I already knew a lot about ceviche and how different parts of Mexico make their own versions with different ingredients, I had never been able to put my finger on the ingredients and I am normally pretty good at that! All I could think of was ketchup. And no one would ever put something as mundane as KETCHUP!! Right?! I mean you make MEATLOAF with ketchup, not something as cool as CEVICHE! Right?! 1. 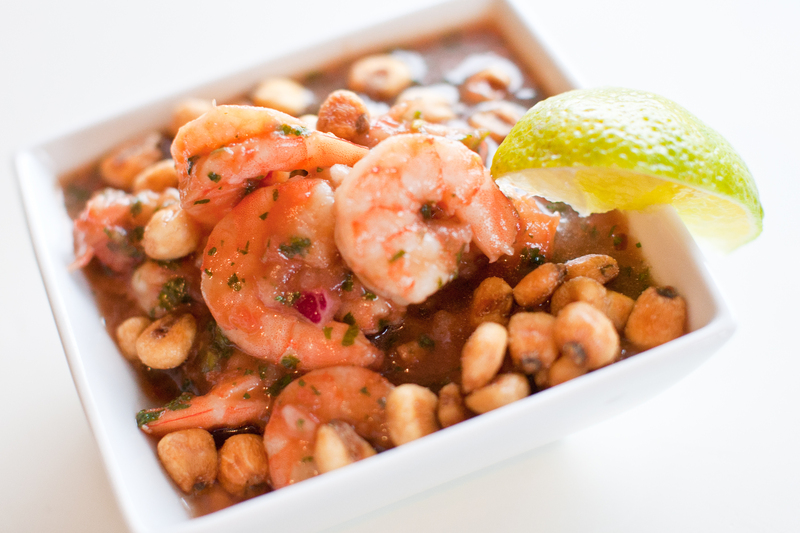 Toss the shrimp (Shells ON!) with 1 tablespoon of the olive oil. 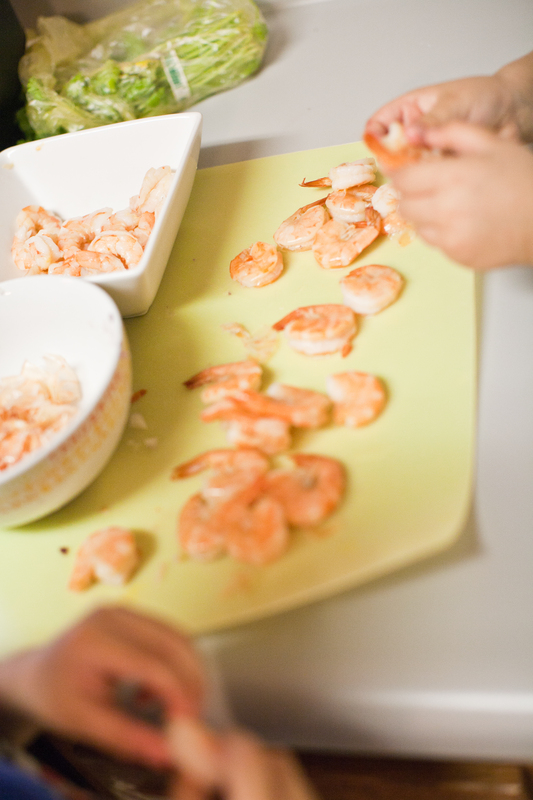 Squeeze the oranges over the shrimp and simmer in a pan, covered, until pink. 2. Take shrimp out of pan with slotted spoon remove lost tails/shells from juice in pan Strain the juice from the frying pan and pour into a blender or food processor. 3. 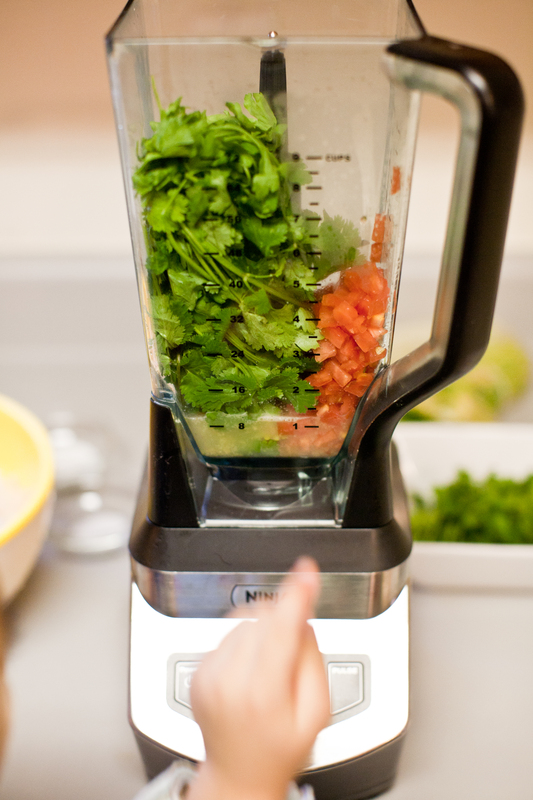 Add cilantro and tomatoes – blend well, but make sure you can still tell there is cilantro in there. 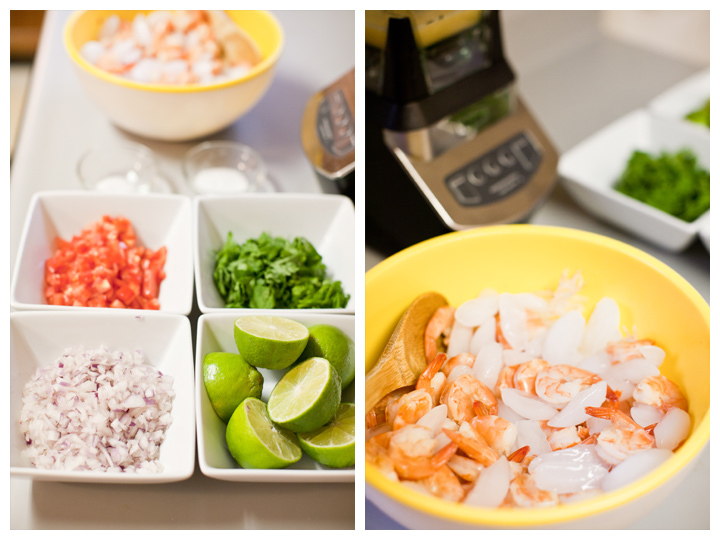 The RM's gettin' it crackin' on some shrimp peelin'! 4. Peel the shrimp put back in bowl of ice. 5. Stir the onion, sugar, and salt in a bowl with the liquid from blender. 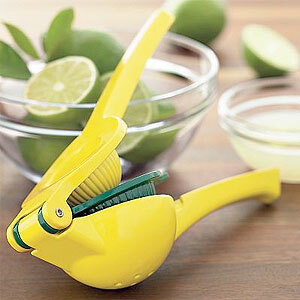 Squeeze limes (a citrus press comes in very hand here!) in and stir in the remaining 1 Tblsp olive oil and the ketchup – mix with a spoon then add shrimp. 6. Stick it in the fridge for a few hours, until cold. Serve with tortilla chips, tostadas, plantain chips or the traditional Ecuadorian way…with Chancha!